Flex is a global provider of innovative design, engineering, manufacturing, and supply chain services and solutions through a network of over 100 facilities in 35 countries across four continents. 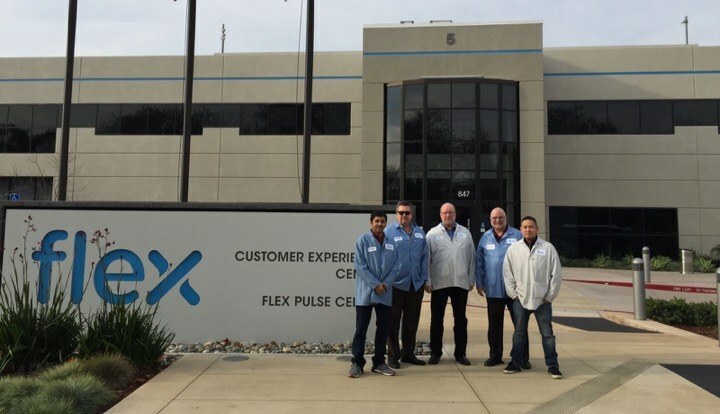 Flex sought to build a strategic monitoring capability throughout its campuses, to improve inventory visibility, streamline material transfers, and automate inbound, internal and outbound logistics. By implementing Visi-Trac and following the mantras of ‘No Touch Automation’ and ‘Start Small and Build Big’, Flex embarked on an ambitious program starting with warehouse and material movement automation, expanding to carrier integration, no touch shipping and receiving, and real-time WIP tracking. Flex is rolling out strategic monitoring to multiple facilities to gain global visibility of demand and production. The expected outcomes from this program are greater inventory visibility and accuracy, real-time transactions, and real-time data flow between integrated logistics and order management systems. Additional benefits have been reduced man-hours on shipping, receiving and material transfers, real-time feedback to planners on inventory issues, and improved ease of customer on-boarding. Real-time information drives accurate forecasting, rapid response to demand changes, and optimizes supply chain performance.